HONG KONG, Mar, 01 2019 - (ACN Newswire) - NetDragon Websoft Holdings Limited ("NetDragon") (HKSe: 777), a global leader in building internet communities, has participated in the China Unicom "5G + Smart Education" Industry Application Conference yesterday. The conference, held in Wuhan, was hosted by China Unicom, National Engineering Research Center for E-Learning of Central China Normal University and National Engineering Laboratory for Educational Big Data, and co-organized by NetDragon, China Information Communication Technologies Group Corporation and Huawei Technologies Co., Ltd.
At the conference, led by China Unicom, the launching ceremony of China Unicom's "5G + Smart Education" Industry Application was held under the witness of representatives from various information technology corporate leaders. 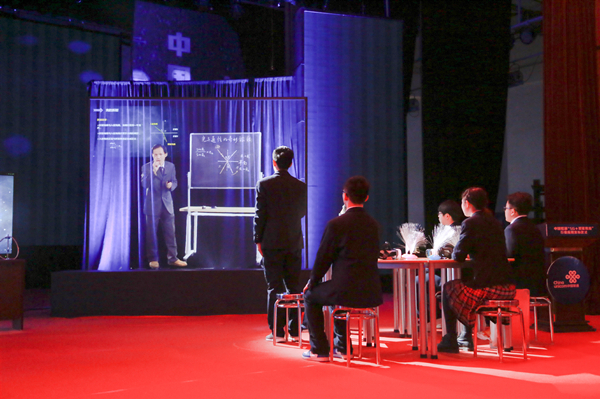 Utilizing a high-bandwidth and low-latency 5G network, China Unicom deployed 5G and holographic technology to provide a new-experience open physics lecture to students across different regions simultaneously. This was also a precedent of 5G application in the field of education. 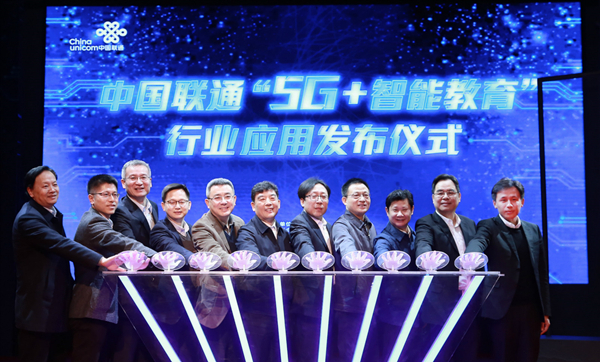 Mr. Liang Baojun, Deputy General Manager of China Unicom, commented, "5G will become a crucial foundation for our country's information and communication construction, as well as the key to the development of industrial Internet and artificial intelligence. In this context, China Unicom, as one of the leaders in the telecommunication industry, will jointly conduct 5G business research with multiple industrial enterprise partners to lay the foundation for promoting full commercial use of 5G. At the same time, we will leverage on resources from our existing network, incubation of 5G application and support from our industrial chain to fully support the development of education in China." Dr. Liu Sanya, Executive Deputy Director of the National Engineering Research Center for E-Learning of Central China Normal University and Deputy Director of the National Engineering Laboratory for Educational Big Data, commented, "The informatization of education will reshape the landscape of education and learning, promote the development of education in an customized, scientific and intelligent way, and will also speed up the integration of technology and education. The 5G technology that subverts the concept of internet speed is to provide the possibility to support the development of mobile learning, and it will be the main theme for future education development. 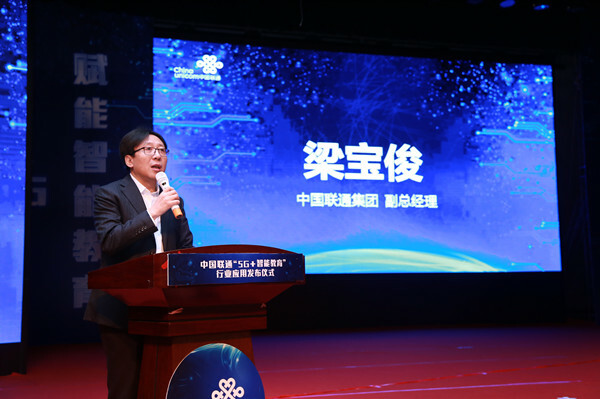 Dr. Xiong Li, CEO of NetDragon, commented, "As the technical supporter of this open class, NetDragon is committed to delivering innovative ideas and technologies to the industry. Collaborating with a telecommunications giant in 5G + Smart Education field echoes with NetDragon's core concept 'Integrating learning into life'. Our company continues to explore new business opportunities in the 'Internet + education' area, such as the acquisitions of quality education enterprises in and outside of China, namely Promethean, Edmodo, JumpStart and Cherrypicks, the setup of Smart Learning Institute of Beijing Normal University, and collaborations with education institutions, including People's Education Press and Juvenile & Children's Publishing House. "In addition, NetDragon also integrates quality resources with international leaders such as Pearson and Lego. The success of this open lecture not only allowed the industry to witness the mature application of China Unicom' 5G technology, but also fully demonstrated NetDragon's holographic technology and VR technology and its plentiful education resources. The Company is currently actively exploring new forms of cooperation with China Unicom, such as the establishment of a '5G Business Cooperation Center'. We look forward to establishing more diversified business models with China Unicom, and we hope to accelerate China's education development as well as the construction of 'Digital China'."